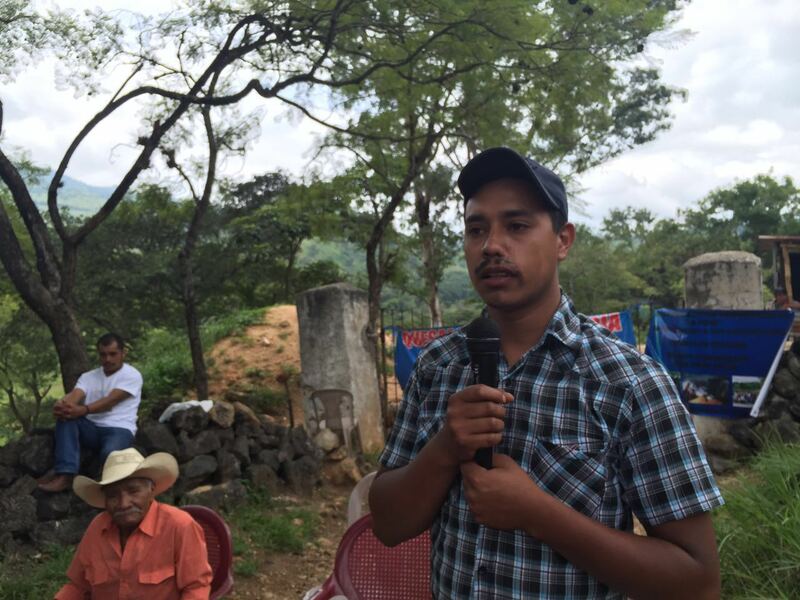 More than 30 Xinca and campesino communities from the municipalities of Quesada and Jutiapa in southeastern Guatemala are resisting a biomass energy plant that will burn eucalyptus trees for electricity. 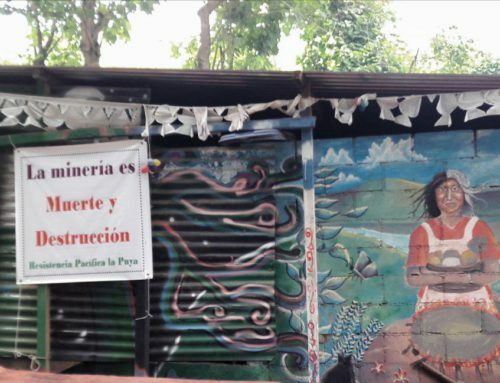 Representatives from the communities have formed a resistance camp, maintaining a constant present at two different entrances to the project site for over eight weeks, and say they are determined to stay until the company removes all of the machinery from the grounds. While biomass energy is touted as a form of renewable, “green” energy, communities remain concerned about the impact the plant is already having on the local environment. The project site is located at the foot of Cerro de Flores – also known as the Amayo Volcano – which was once a densely forested area. 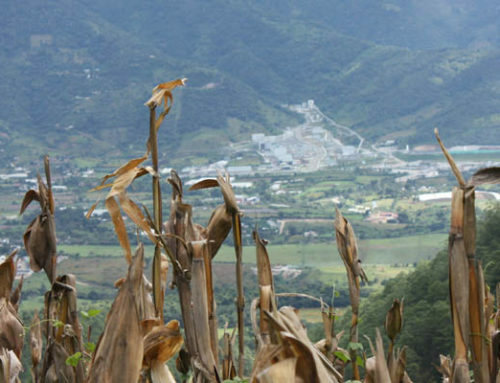 The biomass project, owned by Alternativa de Energía Renovable, S.A., has already deforested a vast area of native ecosystems to make way for the single, eucalyptus crop, depleting soil richness and biodiversity in the name of “alternative, renewable energy.” Communities are concerned that the electricity plant will contaminate numerous water sources that flow from the Cerro. On a visit to the camp, President of the Xinca Parliament and resident of Quesada, Aleiser Arana, told NISGUA that after a municipal consultation held on May 8, 2016, residents began to investigate other potential threats to their territory. During the consultation, more than 8,000 people voted against mining projects in any part of the municipality, with only 8 votes in favor. This project has since gone forward without any community consultation process and despite the community’s clear decision against resource extraction projects that could potentially damage the environment. The details around the biomass project remained elusive for many months because a license for the energy generating project was never solicited from the Ministry of Energy and Mines. The company has claimed that it does not need a license since it is a low energy producer, however communities have uncovered other anomalies in the legality of their project. Already over 2,000 native trees, including some listed as protected endangered species, have been cut to make way for the eucalyptus forests that were sold for profit. The company allegedly did not have the commercial tree-cutting license necessary to carry out these activities. 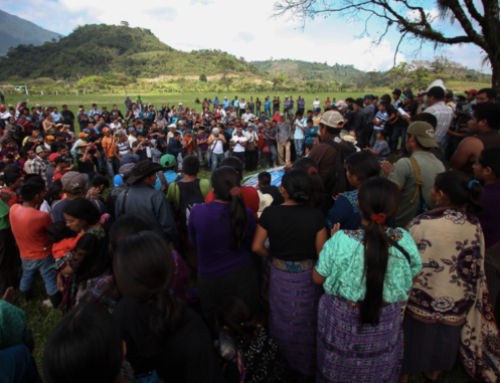 After 45 days of around-the-clock presence in the camp, the resistance members held a special solidarity mass on September 2, in which they shared experiences with other Guatemalan movements to protect land. 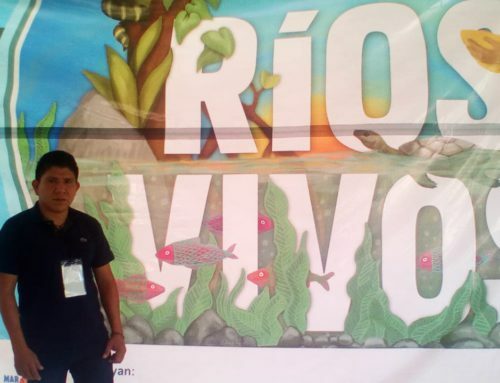 Members of the “La Puya” spoke about their struggle over four years of peaceful resistance to Kappes Cassiday and Associates El Tambor mine on the outskirts of Guatemala City. 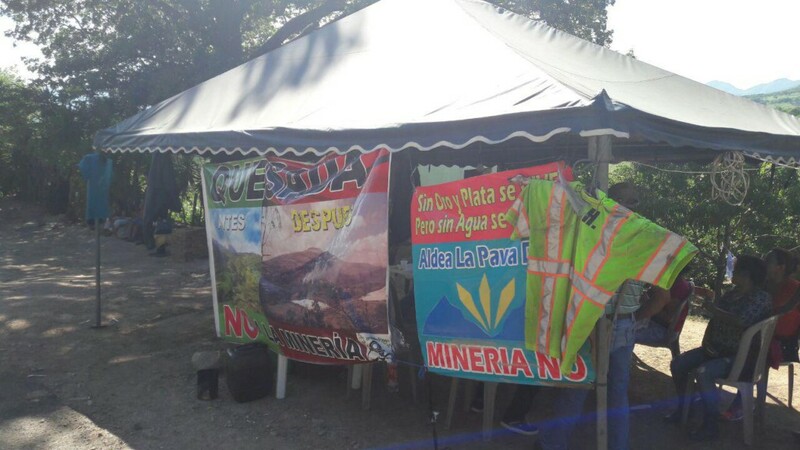 Other legal and environmental organizations, including CALAS, CODIDENA, the Organized Civil Society of Mataquescuintla, and the youth group JODVID, all shared their experiences organizing against the expansion of Tahoe Resources’ Escobal silver mine in neighboring San Rafael las Flores. 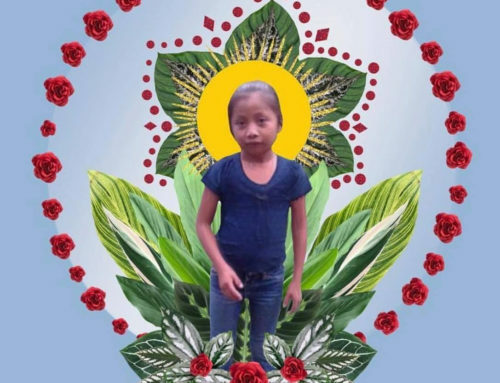 So far, municipal and state institutions have offered to mediate negotiation tables between community members and the company on two separate occasions. Both times the company has failed to show. 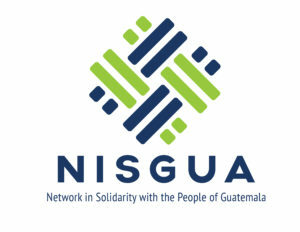 NISGUA continues to provide international accompaniment and advocacy outlets to communities impacted by Tahoe Resources’ Escobal mine. We observed the May 2016 municipal consultation in Quesada, Jutiapa.